For those who love nature and outdoor activities, biking is an excellent way to enjoy the nature! Biking not only protects the environment(no pollution) but also improve your mental health. I am sure you know more benefits about biking than us, so today we will talk about how to choose a bike rack for your vehicle. Durning holidays or weekends, you may have seen a lot of cars carrying bicycles. 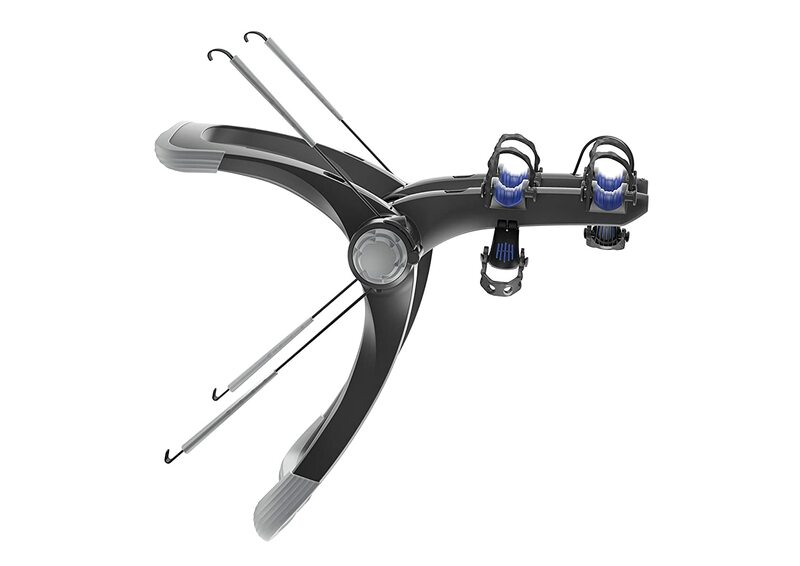 How do you choose a bicycle rack for your next outdoor adventure? Basically bicycle racks can be divided into five types, Trunk Racks, Hitch Racks, Spare-tire Racks, Roof Racks and less commonly used Truck/Internal Racks . Each type of rack has its own advantages and disadvantages, let’s find out which one fits for your vehicle. Trunk racks are one of the most commonly used bike racks. It is less expensive and very portable, it is recommended for occasional use. Trunk racks can be quickly and easily assembled. Because the lifting height is not too high, it is recommended for female bikers. When using trunk racks to carry the bikes, the trunk or hatch door cannot be opened, and the bicycle hanging at the rear of the vehicle inevitably blocks the license plate and the tail light of the vehicle, leaving a hidden danger for driving. Trunk racks also increases the length and width of the car, drivers need to pay special attention while driving or parking. Please also keep in mind that the trunk may block some of the rear mirror visibility. Lastly, when the trunk rack is installed, part of the rack is going to contact the paint of the vehicle and the bike could potentially contact your car during transportation, this is the down side of the trunk rack. For more information about Trunk Racks，please check out customer reviews on Amazon. 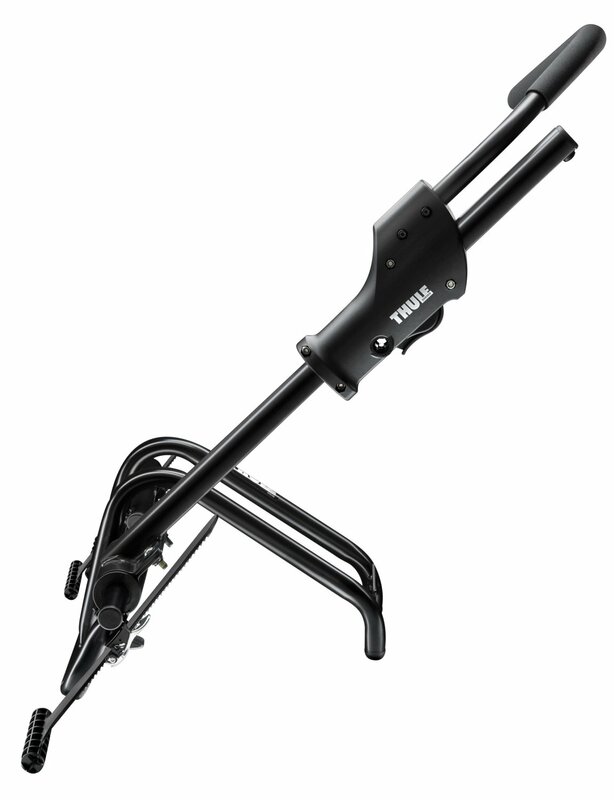 Hitch rack is a more secured to attach bikes than trunk racks, however, not all vehicles equipped a hitch receiver at the back, the good news is, hitch rack can be installed on most vehicles. 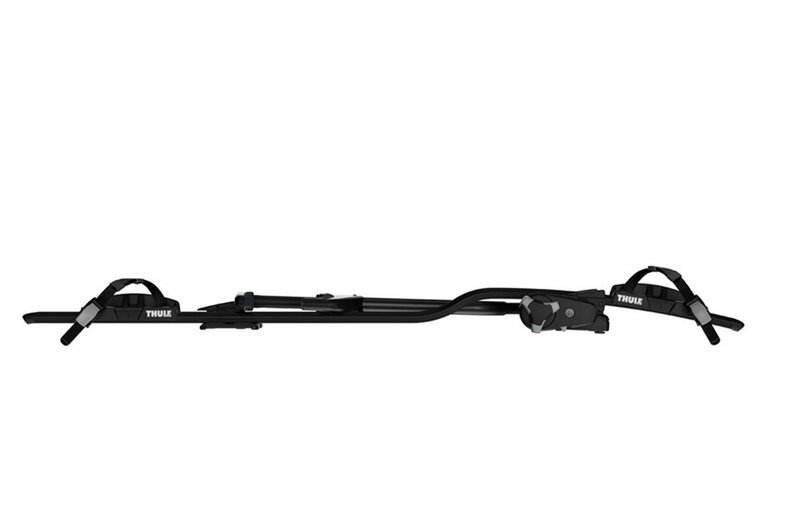 Hitch rack can be extended away from the vehicle, therefore, it is better for protecting vehicles from scratching by the bikes. Some hitch racks can swing away, tilt or fold up to stay out of the way so that you can open the trunk or hatch. This is a big plus for solving the trunk rack problem. Usually hitch racks can hold 2 bikes. This is more suitable for frequent bikers. If your vehicles do not have the hitch receiver installed, I would not recommend to use this, because it will increase the total cost. For more information about Hitch Racks，please check out customer reviews on Amazon. The Spare-tire racks are mainly used for SUV. It uses some of the spare tire structures to carry the bicycles. It is easy to disassemble and is relatively stable. 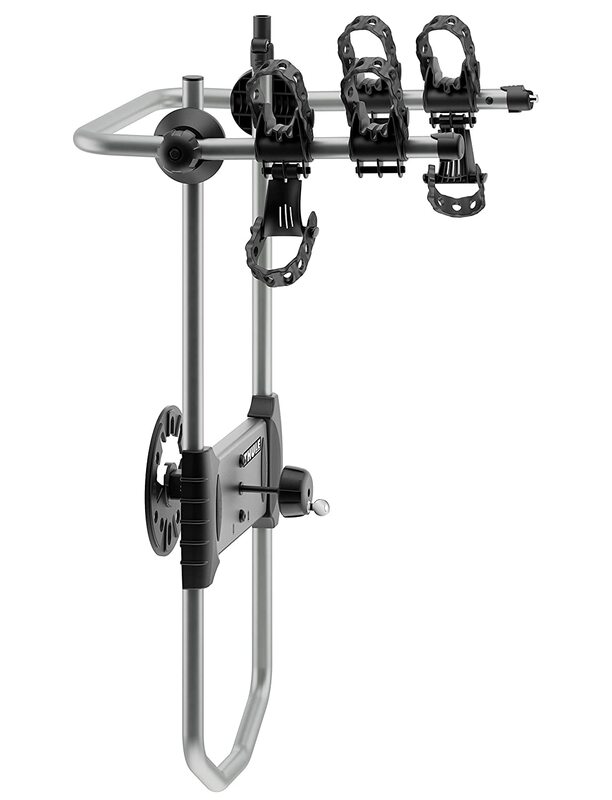 The rack is relatively light and compact. Other than that, the pros and cons are very similar to the Trunk Racks. Tire covers must be removed. For more information about Spare-Tire Racks，please check out customer reviews on Amazon. Roof Racks are a little more expensive than the others, mainly because it can carry many things other than bikes, such as kayak, snowboards, and cargo box. Unlike the trunk racks, roof racks do not have rear mirror visibility issue, however, there is a trade off, it required some strength to lift the bike to the roof of the vehicle. It is not recommended for female bikers. Another problem with roof rack is that it directly increase the total height of the vehicle. Most of the highway have pretty high clearance, however, a lot of time accidents happen when you get home, you may have forgotten your bikes on the roof of the car and directly hit the garage door. Please also keep in mind that wind resistance will increase and there will be more driving noise because of the bikes on the roof rack. For more information about Roof Racks，please check out customer reviews on Amazon. Truck/Internal Racks are inspired by motorcycle transport vehicles. They are mostly manufactured for transporting expensive bicycles. The rack is mainly a horizontal fixing rod, which is fixed on the vehicle. Some pickup trucks are loaded in the same way. 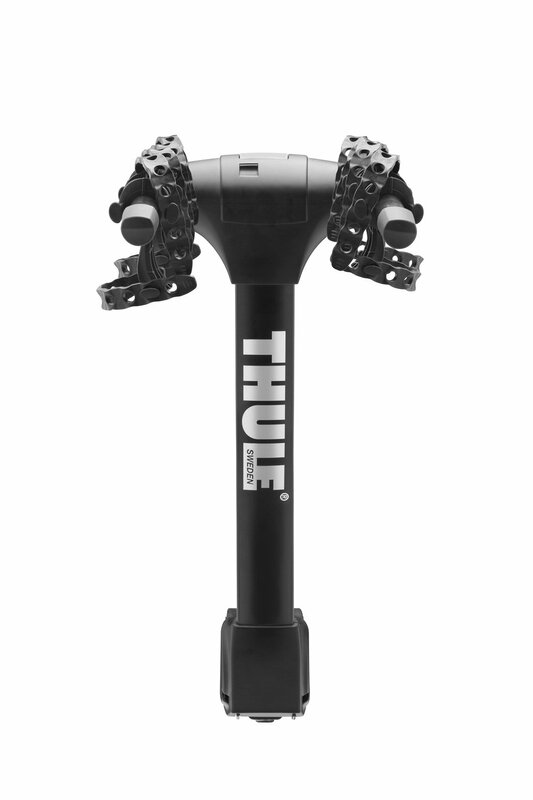 The internal rack keeps the bikes from the wind and rain.There is no need to worry about noise and vibration. Due to the bicycle height problem, it is often necessary to disassemble the front wheel of the bicycle. Another problem is after enjoying the bike ride, the dirty bicycle is also likely to contaminate the interior of the vehicle. So at present, this is not a popular choice, only professional bike lovers use it. I would only recommend this if you have a large vehicle, such as pickup trucks or vans. For more information about Truck/Internal Racks，please check out customer reviews on Amazon. For recommendation, I would suggest to buy trunk racks, it is less expensive and you can attach it to the trunk when you need it, it is very easy to assemble and it doesn’t take too much storage space when you don’t use it. No matter which rack you use, please make sure your bikes are tightly attached to the rack before you go. Enjoy the free air away from the city, let’s go!